Rimsha Masih, an 11 year old Christian girl has been arrested on blasphemy charges. According to some reports, she is suffering from Down syndrome and is a minor, between the age of 11 and 16. Even if she is 18, it is laughable. Isn’t the law supposed to consider the maturity level of the accused? Even in criminal trials, the insanity defense has a place. At least in such cases where it is so easy to distinguish between maliciously framed charges and genuine, a speedy justice should be allowed to save the anguish of the innocent. I am reminded of a Proclamation of Sir Charles Napier wherein he warned the men against killing their women in the name of honor. Those who violated will be lynched, he threatened, and that’s when the killings stopped. Proclamation was issued in 1844, a year after he had conquered Sindh. Such drastic measures, however cannot be expected in today’s explosive Pakistan. Salman Taseer, the powerful Governor of Punjab and Shahbaz Bhatti, the only Christian minister in Pakistan’s cabinet were assassinated just because they protested against the death sentence of a Christian woman charged with blasphemy. The woman still survives in prison. And languishing in another prison – the notorious Adiyala Jail – is Rimsha. The killer of Salman Taseer is also imprisoned in Adiyala. Officials claim the girl has been kept in custody for her own security; one hopes that is true. However, there is some hope in the twist of fate that has lead the the cleric to custody. He is the mullah who had been inciting the neighborhood against the girl, ironically he has been charged with blasphemy. According to a witness, he had tampered with the evidence and added pages of Koran to make his case stronger. If this had happened in ancient times, people would have considered it God’s intervention to save the girl, there would have been no further proceedings. But here we have to wait and see what the man-made law has to say. Persecution of minorities has been on the rise since the birth of militant Islamist groups in Pakistan, It is now taking a bizarre turn as Muslim minorities are being targeted. Since September 2011, there has been a chain of Shia killings in Balochistan and Northern areas. In the latest incident, 21 Shias have been killed in Gilget-Baltistan. After the Shias, who is next on the hit-list? Growing up in Sindh, Pakistan’s most cosmopolitan province had been a blessing for me, but visiting it after 17 long years in 2007 had been a nightmare. Let me begin with Karachi. Orhan Pamuk says his city, Istanbul, is drenched in Huzun, melancholy. I would say my city is haunted by macabre. Did it devour the minorities? Where are the Goans and the Anglo-Indians who walked on the streets of Saddar; the girls in dresses fluffed with can cans; teddy boys occasionally wearing tuxedos – they were the pioneers of rock bands. Christian men were doctors, teachers,clerks and railway and radio employees; their women worked as stenos, teachers, governesses and nurses, a few of them were doctors. In those days some of them looked as beautiful as Ava Gardner in ‘Bhowany Junction’ and many of them dressed as Ava. Even as a little girl, I knew it was the Christian community crowded around Capitol Cinema during the days when Ben-Hur was released. And what about the Parsi women in their colorfully bordered sarees worn in a distinct style strolling at the Old Clifton and shopping at Fashion Arcade and Ghulam Mohammad Bros on Elphinstone Street, now appropriately named Zaib-un-Nissa Street after Pakistan’s first woman editor who published Mirror and daringly wrote against martial law. I also remember an evening spotting my Burmese professor on Clifton road. Slim and effeminate, almost an Aung San Suu Kyi, she was in her signature lungi and blouse. I can even recall the colors, peach and cream, and I am sure she had a matching fresh flower pinned in her hair. Yes, there is still an Anglo-Burmese community in Karachi but like many other small communities it is invisible. Rural Sindh is even more mottled. The Hindu community’s sub-divisions were distinguished by the colors and prints of the ghaghras, cholis and chunris that women wore. Upper and middle class ladies followed the trendiest fashion of the day. Hindus in Sindh are not divided by caste but by occupations -blacksmiths, shop keepers, shoemakers, sharecroppers and landlords; in the cities some of them owned ginning factories and cinema houses. One of them, from Omarkot, was Rana Chandra Singh, the member of the Sindh Assembly. Hindus in Sindh lived in harmony with each other and with the Muslim community. After Partition, most of them preferred to stay back in Pakistan. Today Sindh has the largest Hindu population of Pakistan and most of them are concentrated in my home district Tharparkar. Sindh has not only sheltered its pre-Islamic population but even some of the pre-historic specimens. Tribes like shikaris (hunters) still live under its sky. “The Shikari is neither Moslems nor Hindoos” writes the well-known orientalist Richard Burton in his Sindh and the Races that inhabit the Valley of the Indus. “They are very numerous about Omerkot and the Thurr, where they subsist by manual labour, agriculture and hunting. In these regions there is something remarkably wild and savage in their appearance.” The last I saw shikaris was in 1990. Oud is yet another ancient tribe, the survival of Oudki language in lower Sindh is similar to the survival of Brohi in pockets of Balochistan and Afghanistan, but as a specimen of Dravidian, it’s not as popular as Brohi is with the linguists and anthropologists. During a visit to my ancestral village in 2007 I observed the younger generation of Oud women had discarded their traditional dress. “The bus driver will not allow us to board,” they told me. They were shy to speak Oudki, they had been mocked enough for speaking it. This is just another way a minority looses its distinct identity, through time and through social change, and this cannot be helped. Loosing minorities, nonetheless is loosing a part of our heritage and a part of the heterogeneous character of Pakistan. Much before its birth many races and religions had already merged on its land-Persians, Greeks, Scythians, Parthians, Afghans,Turks, Buddhists and Jains. 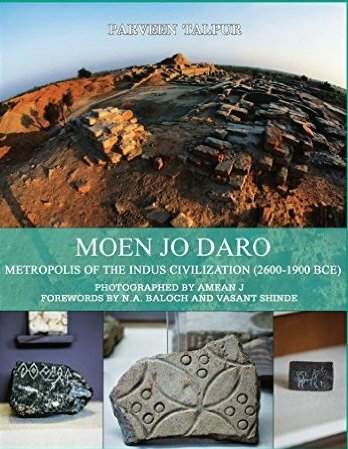 Not a single Jain now lives in Pakistan, you can meet them only on the pages of gazetteers and you can feel the aura of their non-violent spirit in their abandoned temples in Nagar Parkar. What was once a majority is not even a minority now. We must remember, what we call minorities today, their ancestors have lived and died here, their bones mingled with the soil on every inch of Pakistan. Let’s not sift the dust and let’s not loose whoever is living now. Pakistan is still blessed with a variety of cultural, ethnic and linguistic groups Step out of Sindh and you will come across many more. Recently in news were the Kalash, another endangered community. The most encouraging fact in this grim situation is that the majority of Pakistanis, even the most religious Pakistanis, have a secular attitude. Imran Khan, Chairman, Tehreek-e-insaf, has been bold enough to ask the Supreme Court to take a suo motu notice of Shia killings. There is a group of lawyers who has filed the petition for the restoration of a Jain temple in Lahore and there are many more who are holding demonstrations in support of Rimsha. According to her lawyer she may be released on Friday (tomorrow). This should happen; the longer she stays in captivity the deeper will be the scars of the horrifying experience.